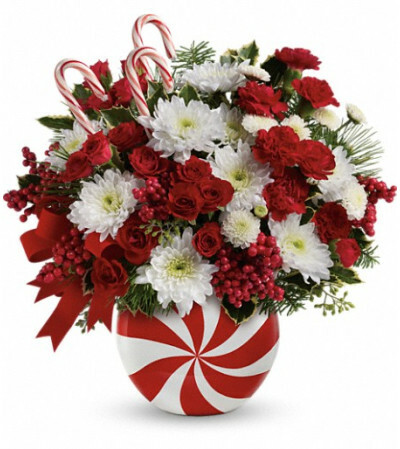 Send your sweetest wishes for a delicious holiday season with this perky peppermint bouquet! 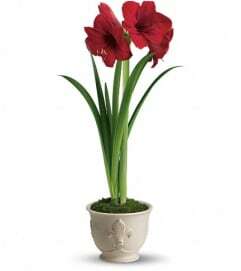 Petite red roses and carnations are blended with snow white mums and festive seasonal elements in a Peppermint Christmas vase. 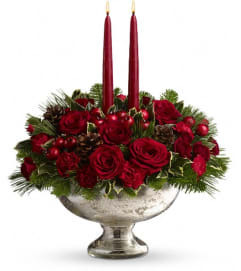 Dainty red roses, miniature red carnations and a snowy mixture of white mums are arranged with white pine, noble fir, variegated holly and red berries - three real candy canes add to the fun! Delivered in a festive Peppermint Christmas vase.